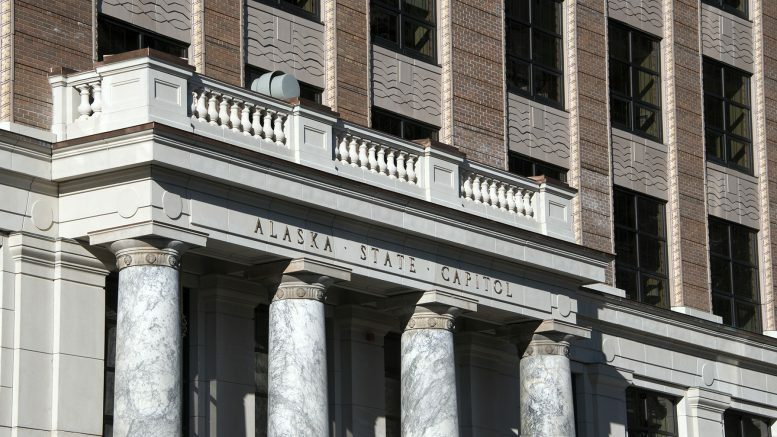 Members of the Alaska Legislature have returned to Juneau for what they hope will be a one-day special session to finally get a capital budget passed. The details of the budget deal were finally released on Wednesday, a week after legislators signaled there was a deal. The documents are all available on the meeting website. The budget does not include any additional money for the permanent fund dividend. The House added this is a last-minute protest of the Senate’s refusal to balance out the fiscal plan with anything other than the permanent fund. There’s $20 million in there for oil tax payments. This brings the total the state will be paying out this year to $77 million, which is the statutory minimum for this year’s payments. The state owes more than $700 million in credits. There’s money in there for the Kivalina school through various reappropriations. That includes pulling $4.43 from the beleaguered Juneau Access project, $2.18 million from “various Department of Military and Veterans’ Affairs projects” and $500,000 from the very-beleaguered Knik Arm Bridge and Toll Authority. Another $21.3 million from the Juneau Access Project will go to capital projects in the greater Lynn Canal area. The Juneau Access project would keep $21.3 million. There’s $5 million for the University of Alaska’s deferred maintenance budget. The House had hoped to boost this to $8 million to balance our cuts to the university’s operating budget, but the deal ultimately sided with the Senate’s numbers. The House also got its way on funding two Alaska Housing Finance Corporation projects. The Senate cut $750,000 each from the supplemental housing development program and the teacher, health and public safety professionals housing program. The budget deal funds each at the level requested by the governor. Be the first to comment on "Legislators plan to pass a capital budget today. Here’s what they’ll be voting on."